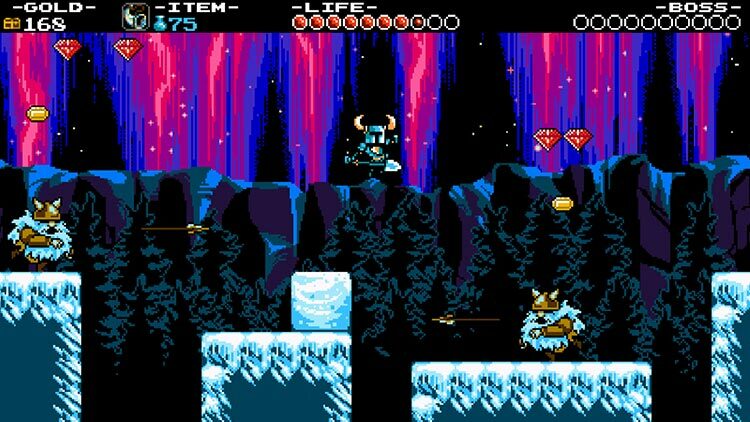 When we reviewed Shovel Knight at its initial release back in June 2014, we were amazed by its impeccable design, rock-solid mechanics and loving homages to classic games. All of those aspects still ring true on PS4, and Yacht Club Games has without a doubt successfully replicated one of 2014’s finest experiences on Sony’s flagship console. The backgrounds vary from dark and lamenting graveyards to bright, colourful pastures. Using old-style visuals hasn't held the developer back; if anything, the sheer simplicity of that approach has given it an advantage. 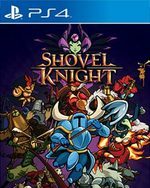 ...It's unfortunate that this new version of Shovel Knight doesn't add much, but that doesn't stop it from being one of the best games on Sony's hardware. If you haven't already, now's the perfect time to jump into Yacht Club Games' 8-bit masterpiece. It felt like I was discovering a wonderful game from the past that I had somehow missed when growing up. In-game achievements and a New Game+ mode add to the replay value, but even without those it’s a bargain for the fun. I would say it’s a must play for anyone old enough to remember blowing on a cartridge, but that would be selling it short. Nostalgia certainly enhances the experience, but this is a great game for anyone. 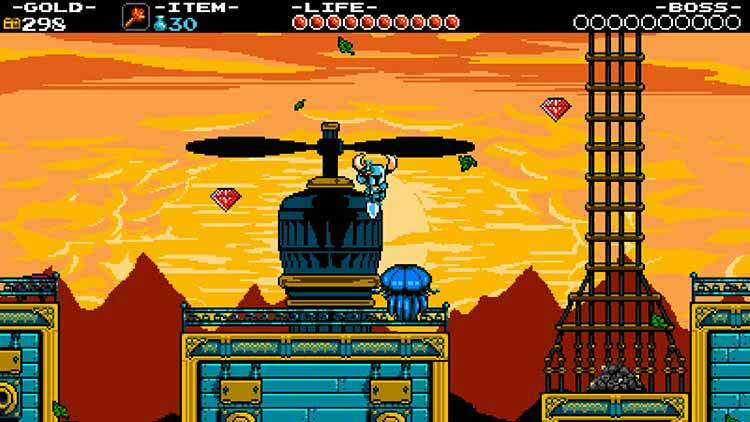 Shovel Knight continued the trend of incredibly well crafted and well received indie titles in its release last year and is every bit as fun as it was then. 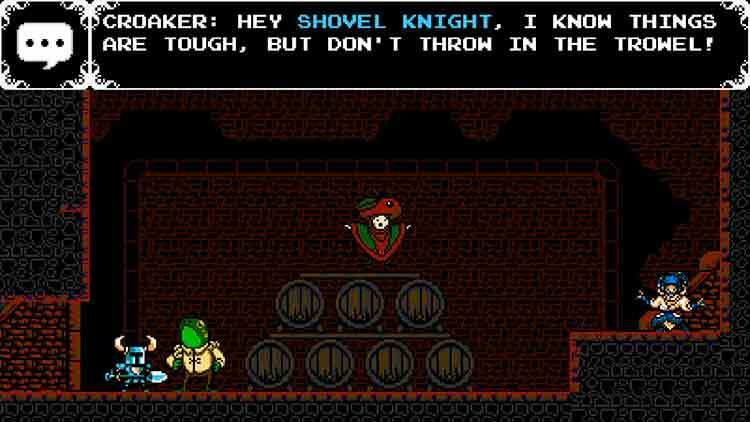 Inspired by numerous classic games, Shovel Knight still manages to dig up its own distinct identity that makes the game worth playing again and again. While the game is essentially the same this time around, only seeing the addition of a Kratos boss fight, it just means another segment of the gaming community has the opportunity to play this fantastic love letter to the 8-bit era. 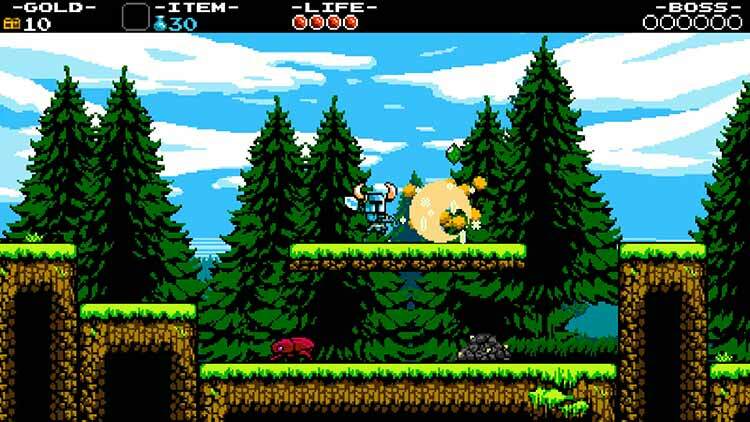 Quirky, endearing, challenging and wholly entertaining, Shovel Knight offers a slice of old-school platforming action at its best. Fans of the genre should consider this title essential, and anyone else that feels like a break from the myriad of multi-million pound developments being released left, right and centre should seriously consider giving Shovel Knight a try. You never know, you just might love it! 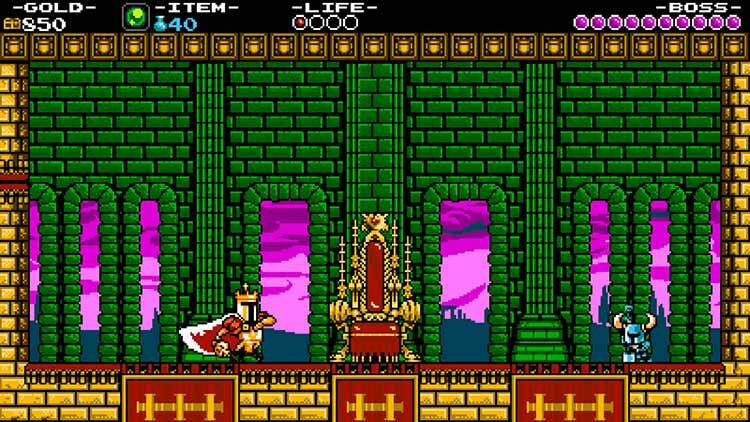 Si creciste jugando con una NES o simplemente la estética de 8 bits es de tu agrado, pocos juegos como Shovel Knight han sabido captar mejor el espíritu y la esencia de aquellos juegos en todas sus formas: en lo jugable, lo gráfico y lo sonoro. Y lo que es más complicado, sabiendo además incorporar sus propias novedades y adaptando el concepto a los tiempos modernos, en un juego que no solo homenajea, sino que además derrocha carisma y personalidad propia. Si aún no lo has hecho, esta es tu ocasión perfecta para probar Shovel Knight. Un excelente juego que además de rendir tributo a grandes clásicos de NES, sabe aportar su propia personalidad y otorgarnos una jugabilidad, un estilo visual retro y una banda sonora adictiva para uno de los cócteles más adorables que hemos tomado en los últimos tiempos. El cross-buy y cross-save no hacen sino aumentar su excelente relación calidad-precio. Shovel Knight is misschien niet foutloos, maar meer dan de moeite waard voor iedere liefhebber van klassieke platformgames. De prachtige wereld, graphics en muziek gecombineerd met de uitstekende gameplay laten zien waarom deze game het Kickstarter-traject ontsteeg. Bereid je voor op een pittige, maar bevredigende game waarin het een machtig gevoel geeft om de creatieve levels en eindbazen te verslaan. ...De game zit echter bomvol geheimen en content om je langer zoet te houden dan een enkele play through.